You’ve got all kinds of time ! 35,215,200 minutes to do whatever you want. 586,920 hours to do with what you will. 804 months – Que Sera Sera ! 67 years to… The End. How did we get to such a small number? to ride this merry Go Round 67 times. individual thinking & planning for at least 15 years. Parents & politics (schooling) will be doing that for us. So, really, we’re down to 52 years. aren’t at LEAST 20; surprised if you are under 30.
now down to 37 spins on the Weeeeeorld. That’s… not a lot of candles. 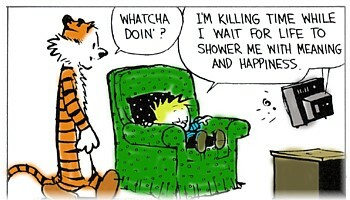 and “Kill time” watching T.V. until it’s time for dinner. just allow time to simply pass by without Life. waiting for time to pass before The End. same planet I am and simply… kill time? With only 37 more free dinners at IHOP ! is just something “normal” we do ? of others… and ourselves ? don’t waste your Life by merely “killing time”. now L I V E !